No need to cross the border–Mexican is at your fingertips! – Butter, Baking, and Bacon! No need to cross the border–Mexican is at your fingertips! 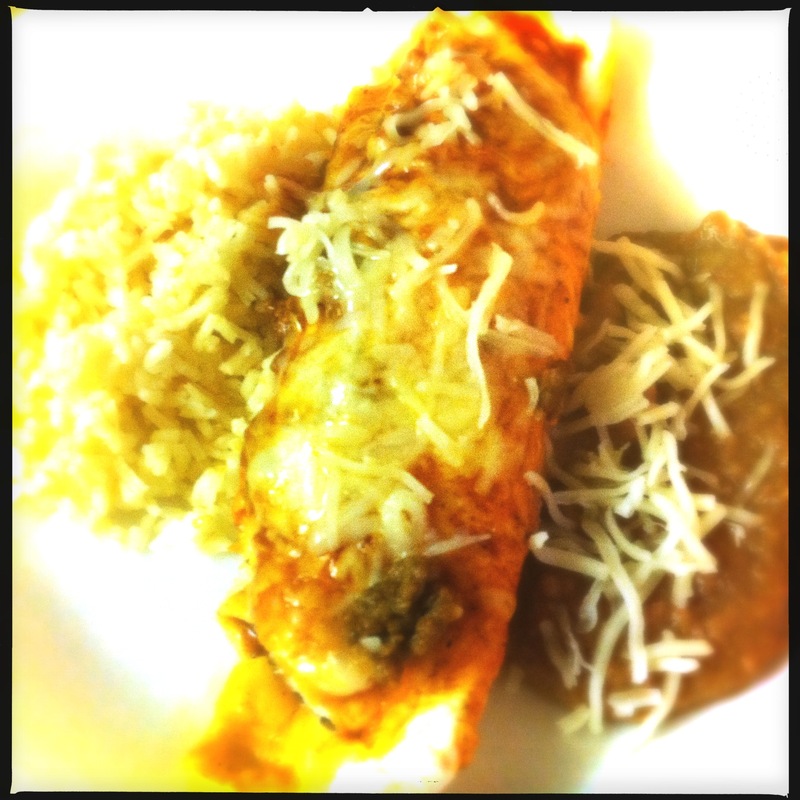 My family and I enjoy Mexican meals–especially when they’re made at home! It may not be entirely authentic but it surely is authentically delicious! We like to take our time and make some real South of the border tasting enchiladas, but sometimes we find ourselves just taking the easy route, but without sacrificing a bit of flavor! Brown ground beef and onions; drain. Add next 5 ingredients plus 1 cup prepared sauce. Simmer 15 minutes. Let cool before rolling enchiladas. 2. Dip tortillas in your heated prepared sauce. 3. Lay the tortilla out in your baking dish, which you have put a small amount of the sauce and covered the bottom. 4. Spoon 3-4 tablespoons filling down the center of tortilla. Roll tortilla around filling and place flat side down in baking dish. Shove to one edge and continue process, placing enchiladas side by side. 5. Pour enough sauce over the enchiladas to moisten well. A 9 x 13 inch pan will hold around 1 dozen to 1 1/2 dozen. 6. Sprinkle with 1/2 of mixed Jack and Cheddar grated cheese. Bake at 350 degrees for 25 minutes. Next Post Sometimes, you just need to roll some meat balls in your hands!